A small business loan that typically lasts three to 10 years is called a term loan. When a business is ready to make a significant investment in future growth, long term business loans are a common way to fuel that progress. Term loans allow companies to afford large outlays by paying little by little over time. This can include purchasing new manufacturing equipment or remodeling facilities. Without a term loan, many businesses would not be able to take the important step from financially focusing on short-term survival to planning for long-term growth. When pursuing long term business loans, companies typically need to borrow between $25,000 and $200,000. Although, term loans can be for less or (a lot) more than those figures. The length of time to pay off a term loan can generally span between three to 10 years. However, they can go to 20 and beyond depending on the business’s needs and the lending company’s amenability. Businesses receive a lump sum of the total loan amount after they receive approval. They must pay back the amount of the loan with interest monthly over the term of the loan. Sometimes, lending companies will allow you to pay quarterly. In most cases, long term business loans are used to purchase something specific that will enable the company to grow and make more money. This can include machinery, vehicles, real estate, and many other things. The rule of thumb is that the loan term should be as long as or shorter than the useful life of the investment. So, it would be appropriate to purchase a tractor you expect to use for at least 10 years with a term loan. It would not be appropriate to purchase a new software system with this type of small business loan. Software will usually have to be updated within two years. The company’s existing collateral often supports long term business loans. This means that, should the business default on its loan payments, the lending company will be able to recoup some of the expense. They can do this by selling off the business’s owned assets like inventory, real estate or vehicles. Without collateral, a robust business history, and a solid credit score, it can be difficult for a business to secure a term loan. Get competitive term loan quotes from leading lenders for free within minutes. One size does not fit all when it comes to term loans. There are a number of options and different types of lending companies that offer business loans with longer terms. Based on your business’s credit, current financials, future financial needs, and other factors, you could qualify for a 5 year, 10 year, or 20-year term loan. Although, it’s rare to find a lending company who will agree to a 20-year term loan. The loan’s length and interest rate will affect how much you pay monthly for your desired loan amount. For instance, if you needed a $200,000 term loan with a 6% interest rate that you have to pay back within 10 years, you would be looking at a monthly payment of $2,220.41. This presuming that you have a good credit score, business history, and financials. However, if you had the same loan amount and interest rate, but wanted to pay the amount back within 5 years, your monthly payment would be $3,866.56. So, the term of the loan makes a difference when it comes to paying back the amount. Fortunately, a business loan’s term is fairly negotiable. The particulars of the loan will depend on the lending company you choose as well as the details of your business. Keep in mind, however, that the monthly payment structure will remain the same. Long term business loans come in a variety of options. It’s important to think about why your business needs the loan. Also consider how quickly you believe you can pay it back. You should also take some time to consider the lending company you choose. Choosing to do business with a lending company that offers competitive rates can be extremely beneficial in the long run. Before applying for a term loan, you’ll need to have a well-thought-out business plan in place that outlines how you’ll use the money and how it will impact your business. You’ll also need to gather various documentation. Lending companies will run a credit check on the business and on the owners personally. So, ensure your credit scores are favorable before applying. You can shop for small business loans by visiting nearby banks, contacting your local SBA office, reaching out to your city’s chamber of commerce, or searching online. There are many online lenders who will do the comparisons for you. This will make it simple to find a great match for your needs. The application process will usually start with some paperwork requesting basic information about your company, how much money you need, and how you plan to spend it. After processing and a credit check, the lending company will follow up for more detailed information and additional paperwork. Once you receive approval on your application, it can take up to a month for the term loan to receive the funds. 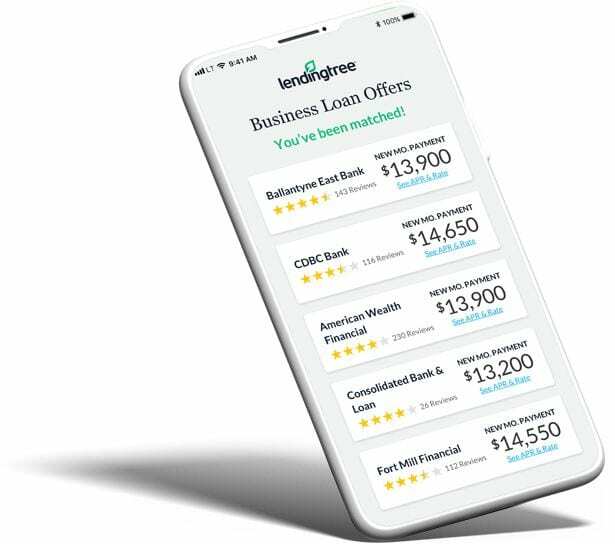 If you choose to work with an online lending company as opposed to a traditional bank, this process will be sped up significantly. Long term business loans can be a great way to fund large investments that enable business growth. There are many options and different types of lending companies that specialize in these types of small business loans. So, with a little research and some patience throughout the application process, your business will be on its way to the next level. How much will long term business loans cost? Long term business loans need to be paid back with interest. Rates usually range between 6 and 8 percent of the total. Yet, they can differ based on the lending company and the timing of the loan. Additionally, a term loan will likely come with closing costs and other processing fees. These will vary based on the lending company. Check your contract for other hidden costs like early repayment fees. If your business is barely getting by each month, this type of business loan may not be a good fit until you are in a position where you have a reliable cash flow and a little money to put aside each month. Defaulting on a term loan could be devastating for a business. You could badly damage your credit and lose your assets, both business and personal. Additionally, if you need cash immediately, long term business loans may not the best choice, as time from application to funding can be months.